This year’s T-130 S comes with some very exciting upgrades for 2018. 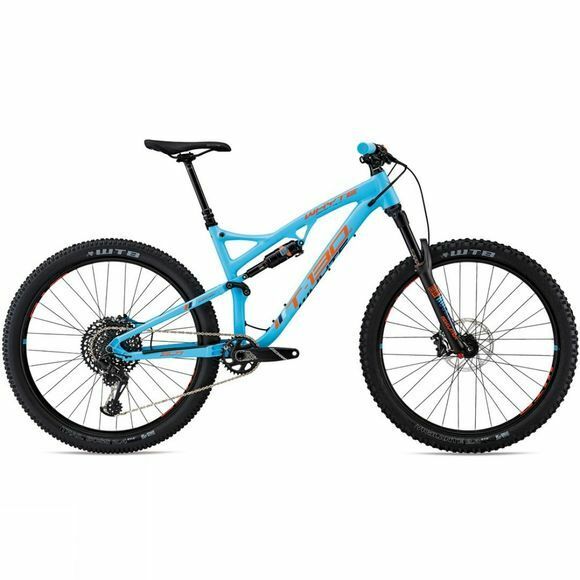 Its multi award winning SCR single ring specific frame is even stiffer and lighter than before and handles superbly, taking you up and down any trail with finesse and confidence. Whyte have also graced the T-130 S with an all-new Eagle GX 12 speed drive chain from SRAM. This evolutionary groupset gives an incredible 10-50 gear spread cassette, allowing the chainring to be increased to 34T, giving both top and bottom range improvement. The T-130 S also features a full width main pivot which works to increase torsional stiffness, helps extend bearing life and maximises suspension performance. 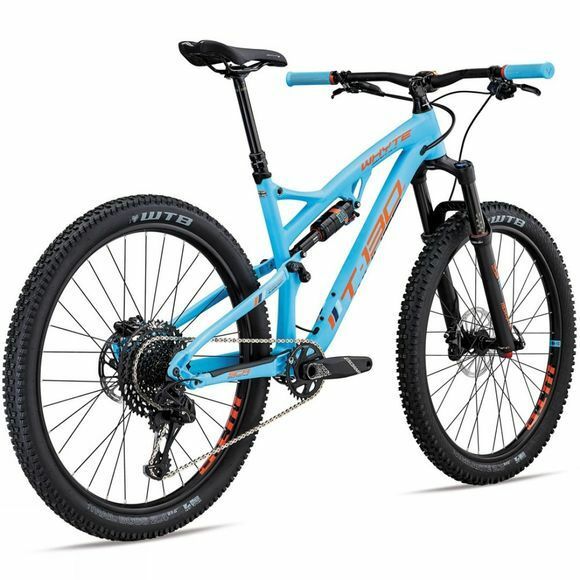 More than capable WTB STp i29 rims with WTB Vigilante tyres give exceptional levels of control and a Rockshox Revelation RC fork, a ground up design based on the brand new Pike fork, is a massive suspension upgrade from its predecessors. This more than capable bike has been finished off perfectly will all the finer details that we have come to love from Whyte. Huge mud clearance gives you plenty of scope to play through the winter, even in the British climate. Fully internal cable routing with seals prevents any water or mud from entering the frame. And, a weather proof clamping system on the seat post makes this bike ideal for anyone wanting a ride that will take them right through the winter with minimal maintenance requirements.